Let’s talk biology. I need to calm down studying on computers, softwares and hardwares. My head would crack open if I would always talk about them. Let us talk about bugs. I know everyone of us do not like bugs at all. Bugs annoy you right? This annoyance may probably cease or lessen by knowing the importance of bugs in our everyday life. In fact, we couldn’t live without them. Are you surprised? 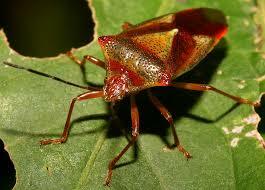 Bug is the common name for insects belonging to the Heteroptera order. Majority are plant feeders; many are predators. 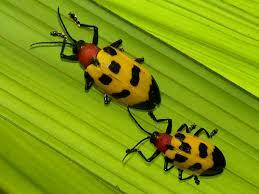 Examples of bugs are bees, ladybugs, worms, spiders, beetles, doodlebug, and bedbug. You may find bugs yucky and disgusting, but they are necessary in keeping our planet healthy. They clean up and recycle nature. They religiously do their part in order to put balance in our natural environment. Worms, for instance, are very helpful. They eat their way through dirt and leave behind rich soil that plants love. Bees are essential also. They travel from flower to flower, gathering pollen to make honey. They spread pollen to other plants as well. These plants can then make seeds thereby more and more plants will grow. Spiders may look scary, but their significance will amaze you. They eat bugs that are harmful to human life such as mosquitoes and flies. We all know that mosquitoes and flies spread disease-causing germs. Scientists have a theory that spiders eat in about a year weigh as much as all the people on earth. Come to think about it: Spiders are equally entertaining. When you see spiders spin its web, you are watching a real life adventure. How about that for a change, huh? Don’t get bugged with bugs. This is easy to do by keeping in mind that bugs are very useful to other living things such as humans and animals. Each time you come across a harmless bug, don’t hurt them. Don’t kill them. Be kind to them. Be assured, however, that you will benefit from your act of kindness towards them. Eight Ways to Ditch an UNWANTED LOVER! !